A Viking sword thought to be over 1,000 years old has been unearthed during excavations works in the ancient city of Patara in the southern Turkish province of Antalya. 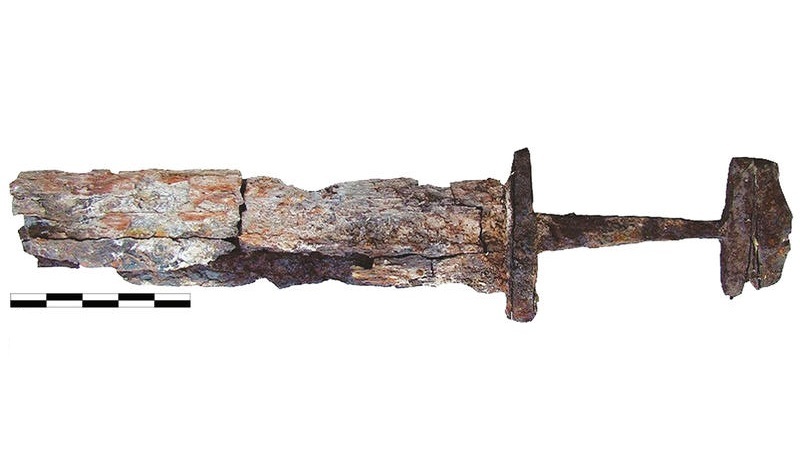 “It is very difficult to determine how this Viking sword has come to Patara. However, this unearthed sword will shed new light on the history of the ancient city of Patara,” an academic conducting the relevant studies on the sword was quoted as saying by Demirören News Agency on Nov. 19. “Up until now, the only physical cultural remains that pointed to the existence of the Vikings on Anatolian geography was the Viking sword unearthed in 2010 at the Yumuktepe Mound,” Feyzullah Şahin told the agency, referring to the historical site in Turkey’s southern province of Mersin, dating back to the 7,000 B.C. “This is why [we believe that] the sword found at the Liman bathhouse in Patara is a Viking sword,” she said. There are two possibilities as to who the owner of the sword was, according to Şahin. It either belonged to a soldier who had stopped by Patara during a military campaign, or it belonged to a Viking who had already settled in the city in the ninth or 10th century. Or a solder returning from a campaign in the north, returning with the sword of a fierce enemy, showing his skill in battle.